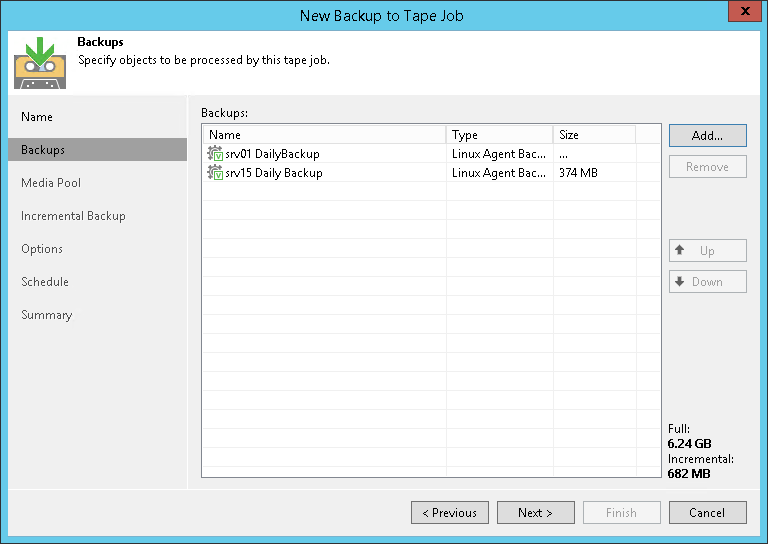 You can configure backup to tape jobs to archive Veeam Agent for Linux backups to tape. Backup to tape jobs treat Veeam Agent for Linux backups as usual backup files. The archiving job setup and processing procedures practically do not differ from the regular ones. To learn more about backup to tape jobs, see Veeam Backup & Replication Documentation. Note that in backup to tape job schedule, you cannot select the After this job option for a Veeam Agent job configured directly on a Veeam Agent computer.